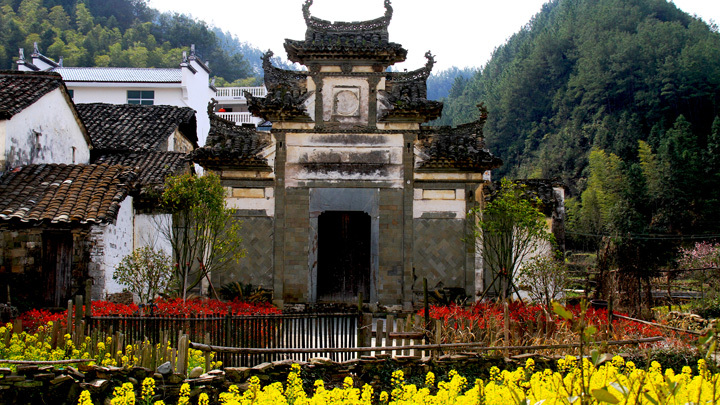 In Brief: See fields of yellow flowers and ancient river towns in southern China. Cultural focus, nothing too strenuous. Hiking through fields of flowers near a village. 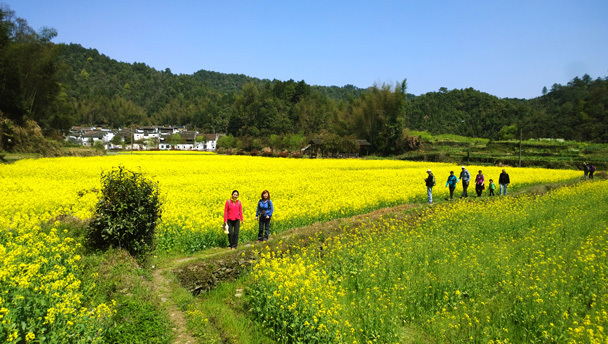 The county of Wuyuan, in southern China’s Jiangxi Province, possesses great natural beauty, and is famous for gorgeous, vast fields of yellow rapeseed flowers—the main focus of this trip. As well as hiking in and around the fields of flowers, we’ll be visiting Jingdezhen, the ‘Porcelain Capital’ of China; several ancient villages with well-preserved ancient architecture; the Rainbow Bridge; and the Jiangling Mountains. Beijingers will be able to get a good look at life in the southeast of China, and photographers will certainly come home with some good shots! 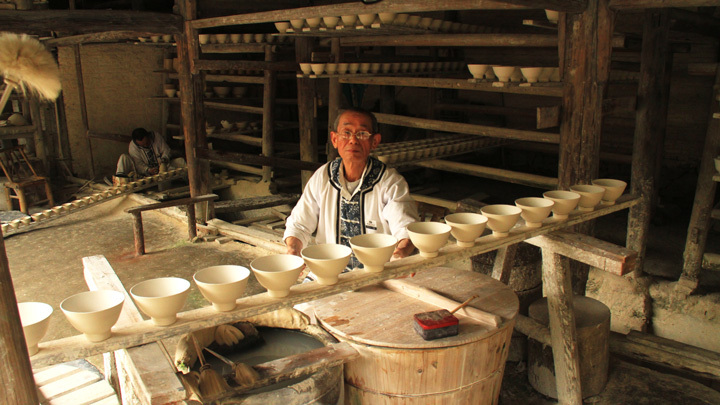 Day One—Fly to Jingdezhen, Jiangxi Province. 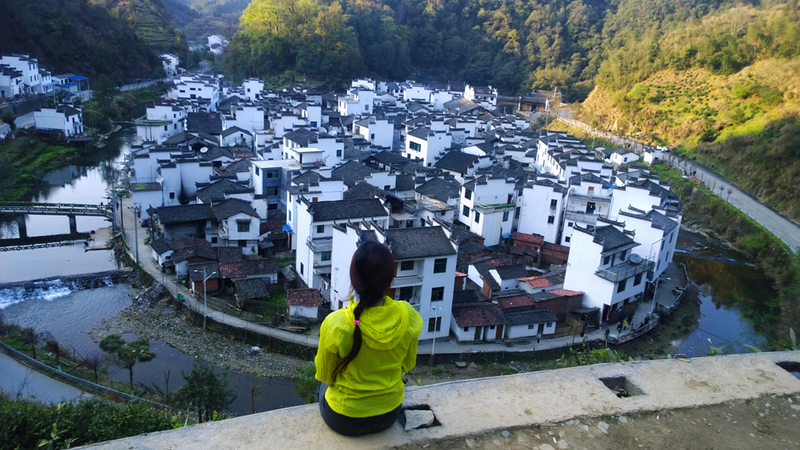 Day Two—Travel to Wuyuan, walk and hike around villages, terraces, countryside. 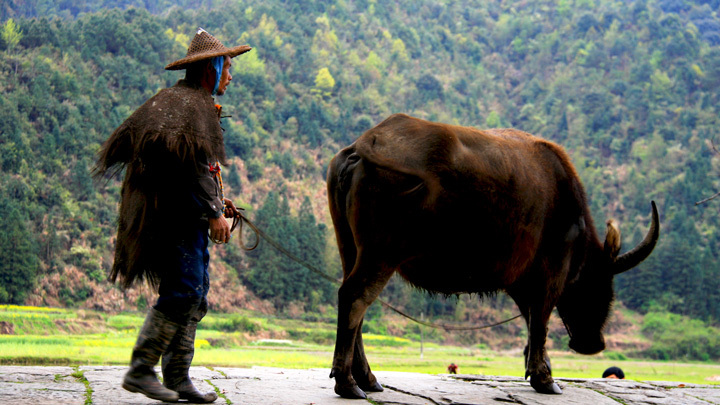 Day Three—Walk and hike around anicent villages, terraces in the Jianglin Mountains area. Day Four—Visit ancient village, hike around terraces and hills, travel to Jingdezhen, visit porcelain shop, fly to Beijing. 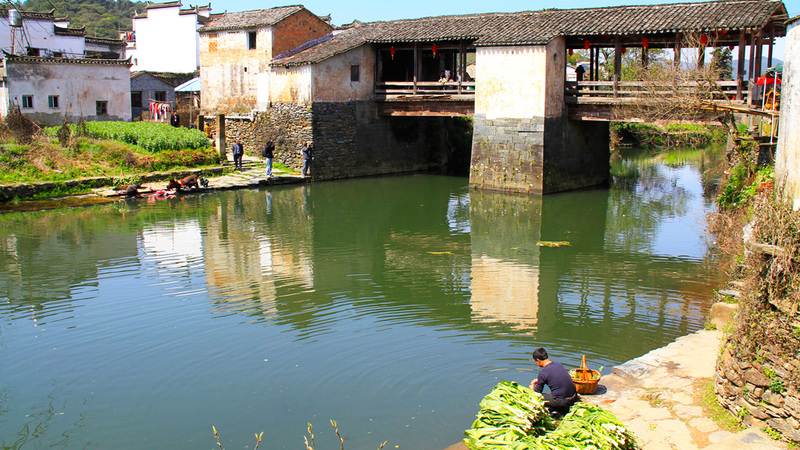 Located east of Jingdezhen in Jiangxi Province, Wuyuan County is home to many small villages scattered amongst the streams and forested hills. It is a bucolic and tranquil area, and difficult to reach by public transport. In recent times it has become a popular tourist destination, but we plan to head for less busy areas while still making sure to take in the key highlights, as well as the essence of the area. 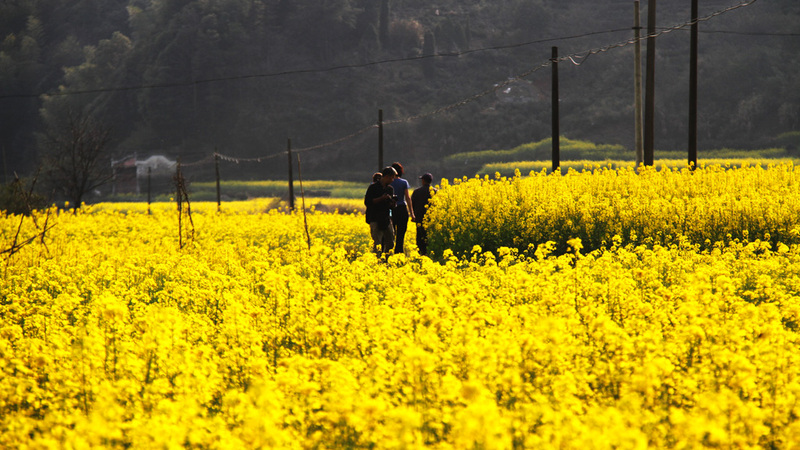 In early spring, the fields and hillside terraces of Wuyuan County turn totally yellow with blooming rapeseed flowers, adding to the already serene and pastoral beauty of the area. We’ve timed this trip to coincide with the time of flowering, and will be hiking in and around the beautiful flowers for much of our visit. As well as looking pretty, rapeseed is also used to produce vegetable oil, biodiesel, and animal feed. There are many small villages in the Wuyuan area, and many of these house temples and other well-preserved ancient architecture. 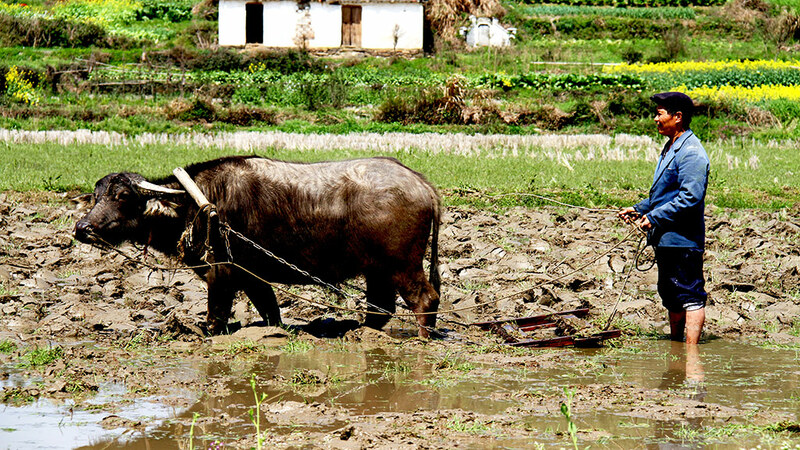 Villagers still preserve a laidback way of life. 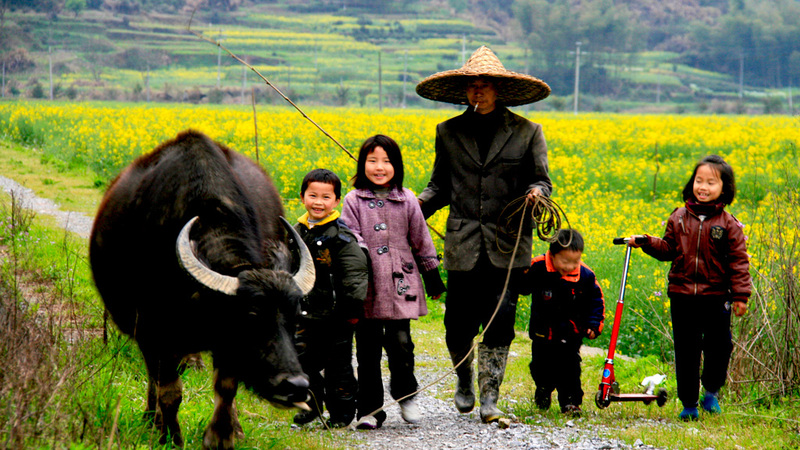 On the second day of the trip we will visit several villages, notably Yancun and Yantian. 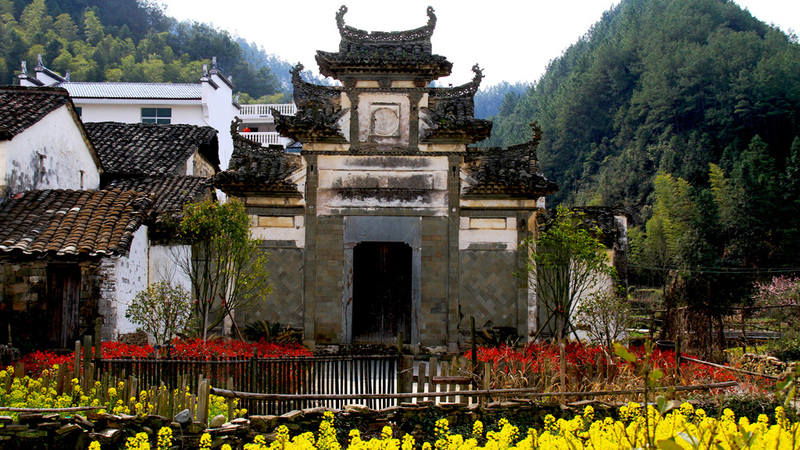 Yancun is a village that features many examples of interesting ancient architecture. Many of the larger houses were built by successful businessmen of days long gone by—some with more than three floors. A river flows past the village, and it is surrounded by fields and forested hills. 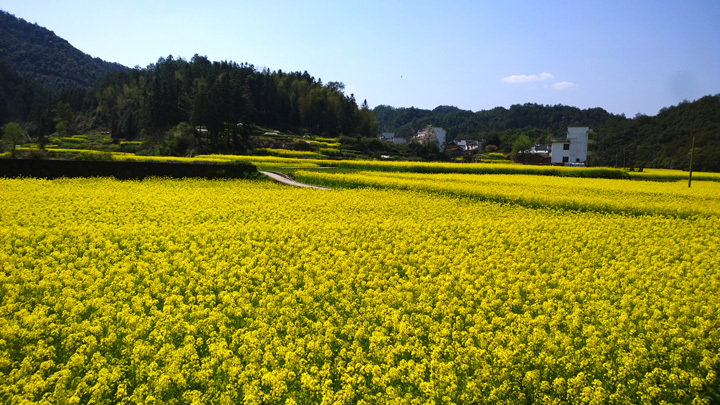 Yantian is another ancient village, surrounded by fields and terraces of rapeseed flowers – a great place for photography. Quite a few cedar wood covered bridges can be found in Wuyuan, and on the second day of our trip we’ll visit the Rainbow Bridge, the most famous of them all. Built in the Song Dynasty (AD 960-1279), the 140m long bridge is made entirely of wood. On the third day of the trip we’ll do a bit of hiking near the Jiangling Mountains, taking in the fields, flowers, villages, and terraced hillsides. The hiking will not be super difficult, and should take 3–4 hours. 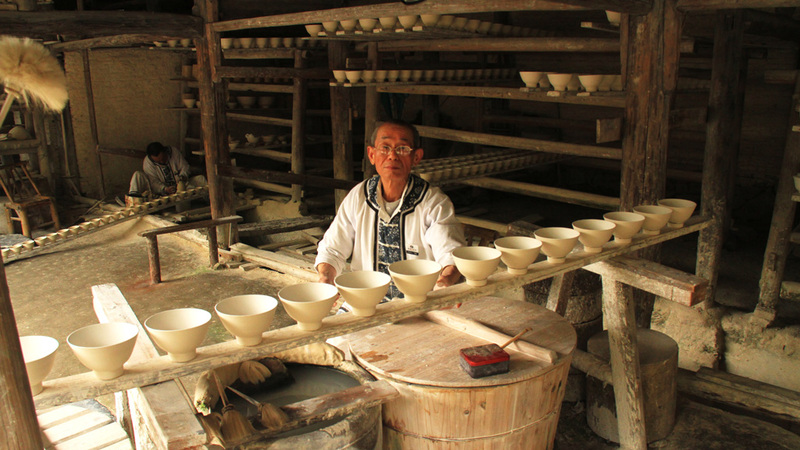 The city of Jingdezhen has over 2,000 years of recorded history. It is known as the ‘Porcelain Capital,’ having produced quality pottery for 1,700 years, with one particularly beautiful Yuan Dynasty-era (AD 1278-1368) piece going for the equivalent of 230,000,000 RMB at a London auction house in 2005. Do not participate in this trip if you are allergic to pollen! More rain falls in the south of China than in the north. Late March and early April are not the peak of the rainy season, but you will definitely need some wet weather gear – the average rainfall for March is 180mm; for April, 239mm. At least it will be warm, with temperatures between 13°C and 22°C. We will be staying in a 4-star hotel in Jingdezhen, and comfortable countryside accommodation in Wuyuan. You’ll be sharing a room with another hiker. If you'd like a guesthouse/hotel room to yourself, it can be arranged at an extra cost of 530 RMB in total, if a room is available—usually not a problem! We will be flying to and from Beijing Capital Airport on our departure and return days. Other transportation between Jingdezhen, Wuyuan, and the surrounding areas will be by private bus, and, of course, our own feet. We will take most of our meals at restaurants in the areas we visit. Bring some spending money for snacks during the trip. Please let us know if you have any special dietary requirements or food allergies. A day pack to take on outings. Suitcases or bigger bags can be left at the hotel or on the bus. Meals as stated in itinerary. 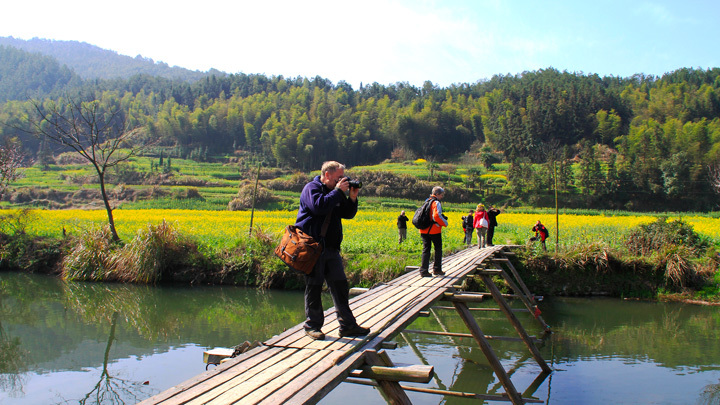 See a set of 30+ photos from a trip to hike the fields of flowers in Wuyuan, Jiangxi Province. The sights and scenes of the hills and valleys of Wuyuan, Jiangxi Province - fields of flowers, small riverside villages, and more. We visited Wuyuan to visit and hike around small riverside villages, and to see the fields of flowers - click through to see photos of some amazing scenery! 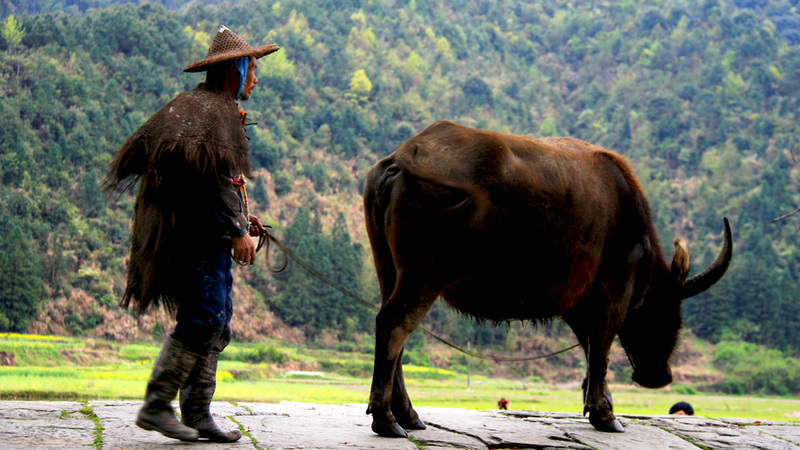 In April 2011, we travelled to South China’s Jiangxi Province to look about the county of Wuyuan. 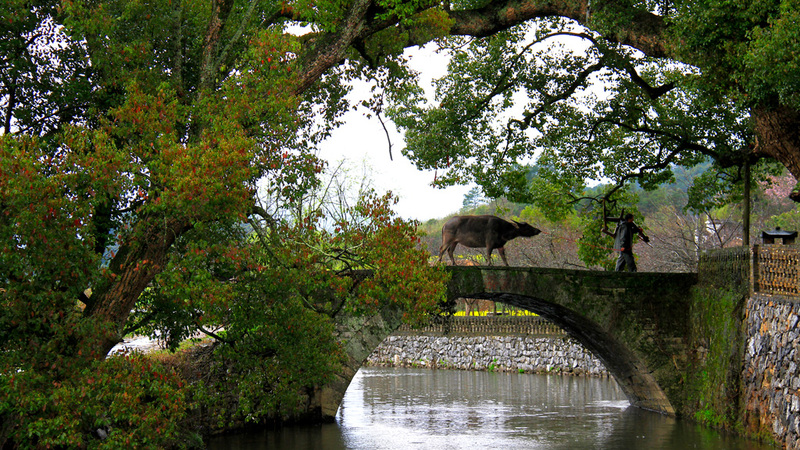 Click through for photos of old villages, rivers, and the fields of flowers we hiked through.